Who doesn’t want to save money, time, their sanity, reduce stress, eat healthy and avoid the dreaded question “What’s for dinner?” It sounds great right, and we’d all love to do it but how do we get there? Menu planning is the answer to all those questions above. We have a jam-packed episode today filled with tons of tips, examples, and ideas so stick with me, and I know there will be something that will appeal to each of you in some way. 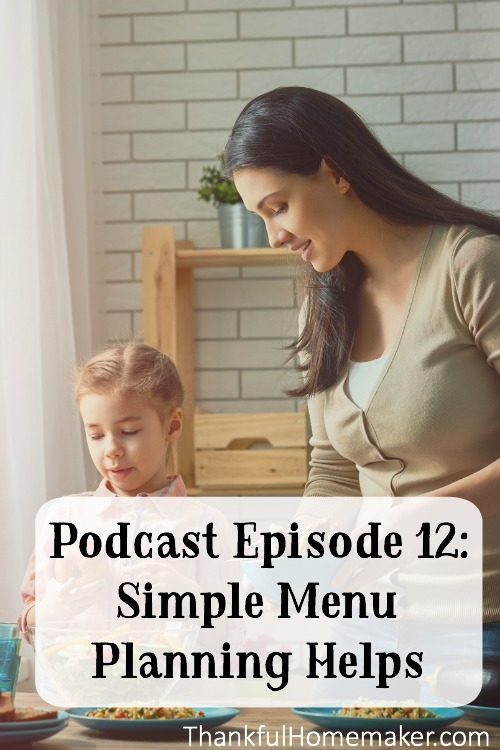 I hope to get you in the habit of menu planning if you’re not already and if you already are but find yourself in a rut, then I hope this episode will give you some encouragement to keep going. If you’re already a die-hard habitual menu planner, maybe you’ll gain some new ideas to jazz up your weekly menu plan. The first thing I always do is look at my calendar for the week. I note days when I need a quick meal, or we’re having company or going out. I usually use a piece of scrap paper for my initial planning and write the days of the week (noting any events from the calendar next to the day) and then put under each day B L D.
I have my handy master list and a few cookbooks that I may use for that week and I start planning. I’ve made sure to see what is in my fridge/freezer/pantry that I need to use up and try to work it into my meal plan. My menu is many times foundational on what I already have on hand. Get good at choosing recipes that use up what you already have on hand in your fridge, freezer or pantry. I do always plan all three meals every day for a week at a time. Work leftovers into your lunches, and it is amazing how creative you can get with using them up. After my scrap sheet looks kinda finalized, I neatly (my handwriting needs much to be desired so hopefully if no one else can read it at least I can) transfer it to a favorite menu planning sheet and put it up on the fridge. 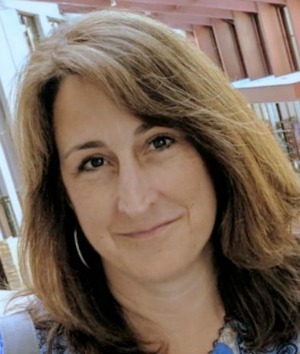 I make my grocery list from the menu plan –making sure to check what I already have on hand, so I’m not double buying items and always make a note in the menu plan to mark recipe books and page numbers for recipes, so I’m not trying to figure out where that recipe came from. My list is written out to work my way through the store in an orderly manner, so I write it out by the layout of my grocery store. At the bottom of each day, I’ll write if there is anything special I need to plan for the next day – like meat to thaw or company coming for dinner. I’ve also started writing at the bottom healthy snack ideas for the week. It helps me to have it to look at before I want to grab a cookie instead of a scoop of cottage cheese. The last thing I like to do is keep my menu planning sheets, so I have them to look back on for reference. After you have quite a few, you already have a meal plan ready to go for the week with maybe just a few tweaks. You’ve just created your own free menu planning site!! I enjoy your podcasts and blog posts so much. Keep them coming. So thankful I found you???? Thank you so much! I am so thankful for your ministry to us a younger wives!! Its so needed!